If Hall of Famers were picked by a machine — selecting baseball's best players statistically for recognition — David Ortiz would go in on the first ballot. This not being the case, predicting future inductees beyond the near-unanimous like Ken Griffey Jr. becomes much murkier. In fact, the mere fact that Griffey was near-unanimous speaks volumes. Big Papi has clearly been dominant through most of his 20-year career, amassing a batting line of .286/.380/.552/.931 with 541 homers, 632 doubles and 1,768 RBI through the end of his final season. While he has never been league MVP (at least not yet; his final season has been, in many ways, his best), he is a 10-time All Star who finished fifth or higher in the MVP race five years in a row. For those who value what a player meant to his organizations, his numbers have been even better in the postseason. Going into 2016's postseason, in a relatively large sample size of 82 games, he has hit .295/.409/.553/.962 with 17 homers, 21 doubles and 60 RBI. He helped the Red Sox win three championships, being named World Series MVP in 2013. So what, you ask, is standing in his way? There are two big ticks in the "anti" columns for many voters in the BBWAA. The first is his position. Because Ortiz is a designated hitter, he faces criticism from those who say his lack of defensive contribution makes him a less valuable player. Frank Thomas started 1,308 games at DH — more than he played in the field — and he was elected on his first ballot. He started 968 games at first base, but the defensive metrics show his work there was sub-par. Edgar Martinez, who started 1,396 games at DH and just 532 in the field, and who is Ortiz's main competition in debates on the best DH in history, received just 43.4 percent of the vote on his seventh ballot in 2016. If he doesn't reach the threshold, his name falls off the ballot in three years. Ortiz served as a DH even more than Martinez, starting 2,009 games there while starting just 265 at first base. 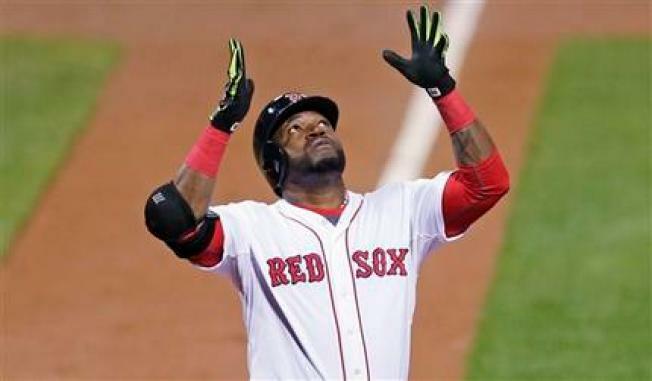 The other knock on Ortiz's credentials are the performance-enhancing drug allegations he has faced. Back in 2009, information leaked to the New York Times showed that he tested positive for PED use in a 2003 survey. His name, along with former teammate Manny Ramirez's, were printed by the New York Times. They were two of 104 players reported to test positive in a closed survey; Ortiz maintains that the results were even sealed to the players. He says that year, athletes were tested so the MLB could see what they were taking and determine what would and would not be banned in the future — to set up the drug policy standards. "I'm not driving across the border to Mexico buying some shady pills from a drug dealer. I'm in a strip mall across from the Dunkin' Donuts, bro," Ortiz wrote last year. "I'm buying an over-the-f***ing-counter supplement in the United States of America. I'm buying this stuff in line next to doctors and lawyers. Now all of a sudden MLB comes out and says there's some ingredient in GNC pills that have a form of steroid in them. I don't know anything about it." There is a wide array of opinions on whether PED users should be in the Hall of Fame. But regardless, voters should take into account that the results of the 2003 survey were meant to be sealed, that a huge percentage of the league tested positive that year, and that the MLB would not tell the players what substances they tested positive for. It seems unfair to punish Ortiz for being the unlucky player whose name was leaked. It's hard to say whether Big Papi will land in the Hall of Fame. What remains all but certain is that voting trends will be different five years from now when he qualifies, that he will have enough of the vote to stay on the ballot, and that writers in his favor will attempt to build a case for him in that time. So get ready for a lengthy debate!